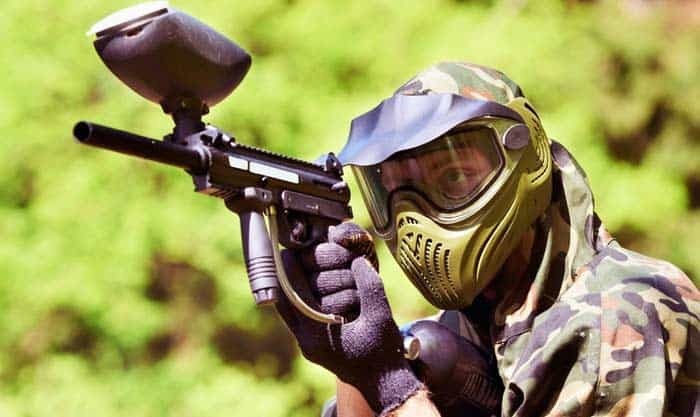 If you are interested to play paintball then be aware that apart from the tools, supplies, and equipment you need to gather for the actual game, you also need to prepare for the clothes and safety gears that you have to wear. You need to know exactly what you have to wear while you immerse yourself in the battle. Whether you are a beginner in paintball or an expert, preparing for what to wear when paintballing is essential. You can even see veterans who are always in search of clothing and gear suggestions that can guarantee their comfort and protection. If you are still unsure what to wear then let this article serve as your guide. With all the information that you can gather from this article, you will have a clearer idea about what you should prepare prior to a battle to increase your chances of having a more enjoyable and safe experience once you are already in the field. No matter what level you are in, you can benefit from the information that I will provide in this article. In choosing the right clothes to wear for your upper body, go for long-sleeves as much as possible. It is because the rule of thumb when it comes to playing paintball is to ensure that you only expose as little skin as possible. Note that paintballs hitting your bare skin might sting so it would be best to cover yourself. With that in mind, it is not advisable to wear a t-shirt. If possible, wear a loose sweatshirt, which is dark in color, a hoodie that also comes with a long-sleeved shirt, and a jacket as a backup in case of certain fluctuations or changes in weather. Loose clothing is also advisable in preventing hits from breaking on target. This will prevent you from getting eliminated or experience a stinging sensation in case of shots. The game of paintball also tends to expose your legs to various elements depending on the specific location where you’re playing. Some of these elements are dirt, rocks, twigs, and thorns that might cause scratches on your knees and legs a bit. With that in mind, it is not advisable to wear shorts. What you have to wear, instead, are loose sweatpants that are dark in color. You can also wear cargo pants, paintball-specific pants, jumpsuits, and jeans. Your goal is to give your lower body as much protection as possible. Just like the upper part of your body, you need to protect your lower body, too. You can also choose to wear two sports pants to further increase the level of protection your lower body receives. Note that when playing paintball, you’ll also be prone to doing certain things, like diving, kneeling, and crawling. If your lower body is not protected then these activities might cause scratches, hits, and bruises to the area. Ensure that the pants you’re wearing are thick, too. However, the pants, despite being thick, should still let you move with ease. It should protect you from scratches and bruises by being thick enough without limiting your movements. You also need to invest in a pair of gloves as a means of protecting your hands. Note that your hands are among the most commonly shot parts of your body when you are playing paintball. It is mainly because you constantly expose them, especially if you point your marker or gun at your opponents. Also, take note that your hands come with tender spots. These spots are also relatively sensitive. To keep your hands fully protected during the game, make it a point to invest in a pair of gloves. Among the ideal gloves that you can wear are golf, football, gardening, paintball-specific, and fingerless weight lifting gloves. Avoid welding, latex, or winter gloves as much as possible as they seem to be too cumbersome and thick for trigger sensitivity. This type of clothing is actually specifically designed for the paintball game. It is even possible for you to customize it based on the color and name of the team. 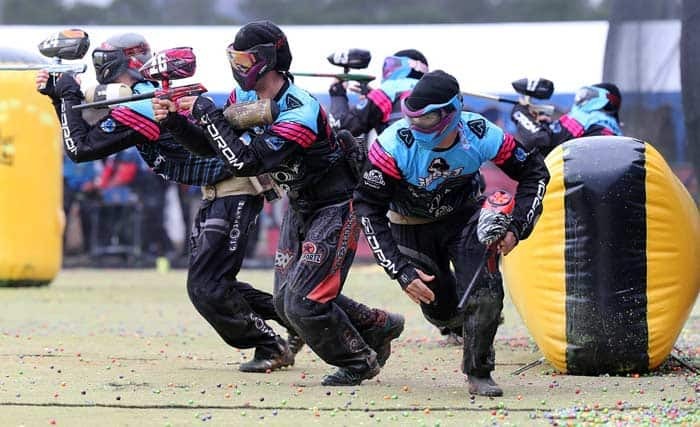 If you are interested in playing speedball then take note that the jerseys designed for it are usually constructed out of ventilated and lightweight material. Such material is capable of absorbing impact while promoting bounce. The jerseys should also be loose enough in the sense that they are capable of fitting over the protective pads. In most cases, these speedball jerseys also display vibrant colors and patterns. 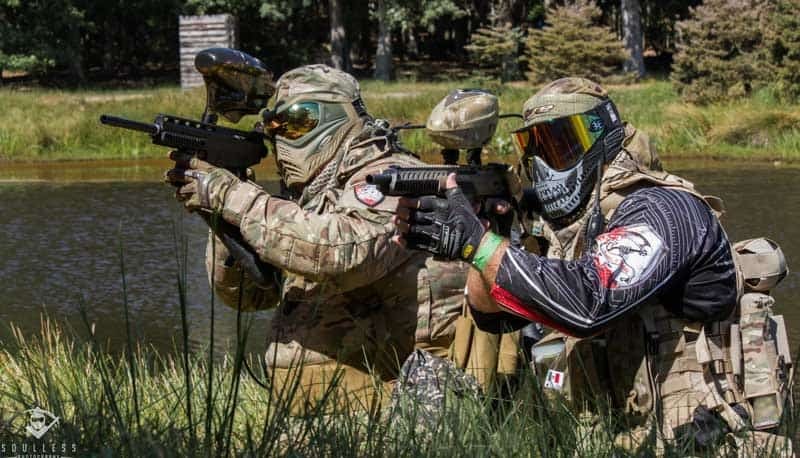 If you are interested in woodsball, then the jerseys dedicated for it usually sport camouflage patterns and muted colors. Such patterns and colors are used so wearers will find it easier to blend with the surrounding environment. The jerseys also often have built-in cuffs at the wrist, thereby preventing dirt from penetrating inside, while also letting the jerseys have a more fitted style in the sense that you can wear them beneath a vest. 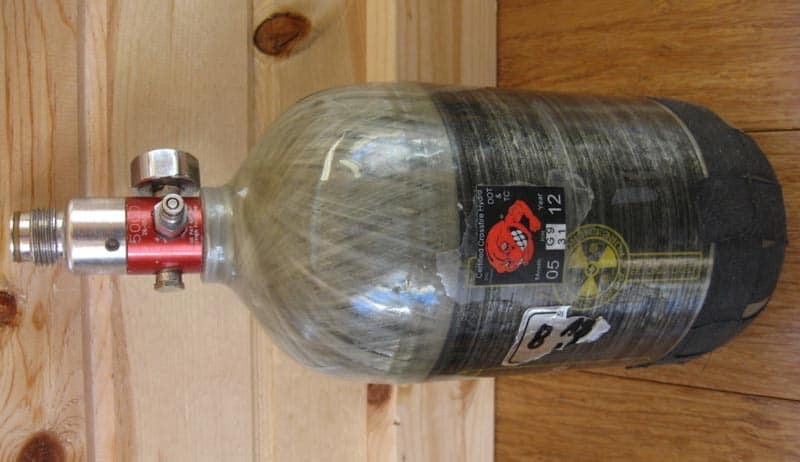 In most cases, you may also need to invest in a paintball vest. This clothing item is more essential, especially if you are planning to get involved in woodsball. The vest often comes with a padding designed to absorb shocks and impact. The best vest that you can invest in is also that with multiple pockets, allowing you to hold anything you need while you are on the field. These include a watch, map, radio, water bottle, squeegee, or any other personal items, like keys and wallets. If you are a frequent paintball player then you may also want to spend on your own goggles or mask. 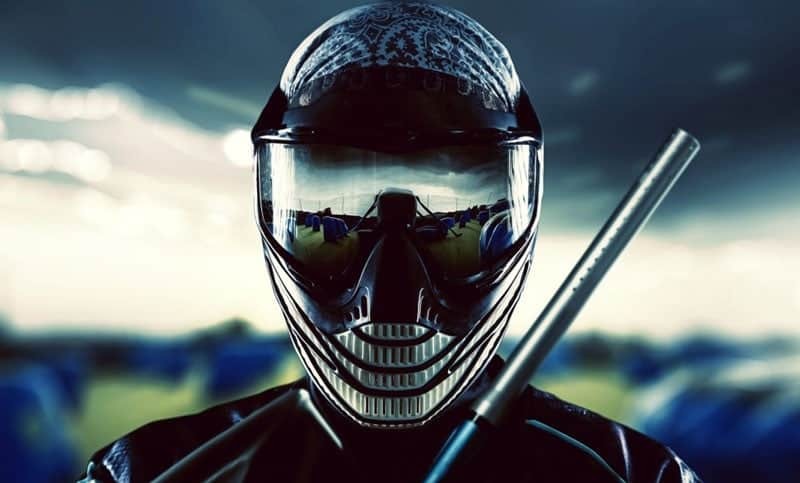 It is usually the most vital piece of safety gear as a paintball player needs to wear something on the field that can protect his face and eyes. What’s good about the mask or goggles is that they are now available in a wide range of styles, sizes, and shapes. High-quality masks and goggles also come with comfort lining and anti-fog shields – both of which can make your experience in the field more bearable. Aside from the mask or goggles, you can also protect your head and the other parts of your face with the help of a backward-fitted baseball cap or winter hat. If you are wearing a hoodie then make sure that you flip up its hood, too. All these are essential in protecting your head. Ensure that you go for one, which covers your face. If you are shopping for a mask, though, ensure to look for one, which fits you comfortably. Also, ensure that it stays affixed firmly to your head. It should not slip nor fall off when you are rolling, running, or doing any other activities during a battle. 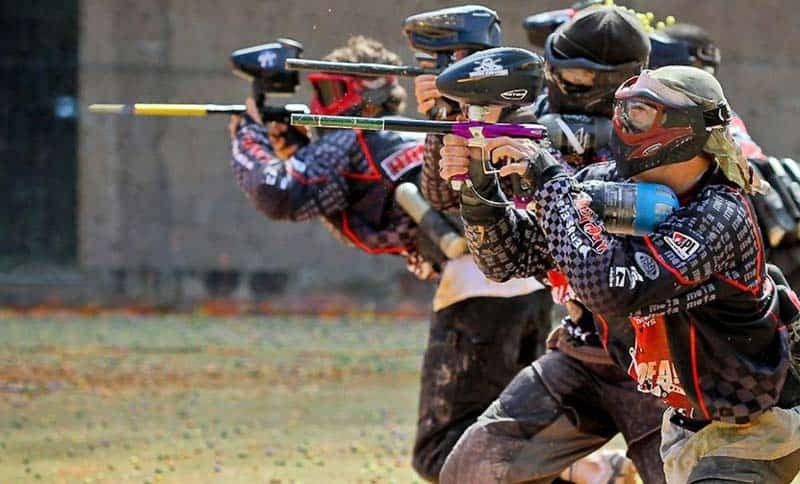 Before deciding on the kind of shoes you should wear once you start playing paintball, the first thing that you have to consider is whether the type of paintball you are going to play – whether it is speedball or woodsball. If you intend to get involved in scenario paintball or woodsball then the best shoes for you are those with proper ankle support. The shoes also need to have adequate tread. In this case, you can go for hiking boots, trail runners, or running shoes. You can also wear cleats in paintball but take note that they are more suitable when you are playing speedball than woodsball. It is mainly because while their rubber spikes work well in case you run around on turf and grass, you can’t expect them to do the same when you walk on rocks, concrete, tree stumps, and wood. If you think that cleats are the perfect footwear for you then go for football or soccer cleats. You can also choose baseball cleats. Just make sure that you stay away from cleats that have metal spikes as they are known for injuring other players and popping inflatable bunkers. When choosing the right shoes for paintball, it is also advisable to stay away from those with an open-toe design, like sandals. It is mainly because these open-toed shoes will only increase the risk of your feet getting injured. A new pair of shoes is not a great idea, too, because they are still a bit difficult to move and run around. Go for shoes that have already been broken in. Ensure that you are comfortable and familiar with the footwear, too. Also included among the items you should wear during a game of paintball are pod packs. 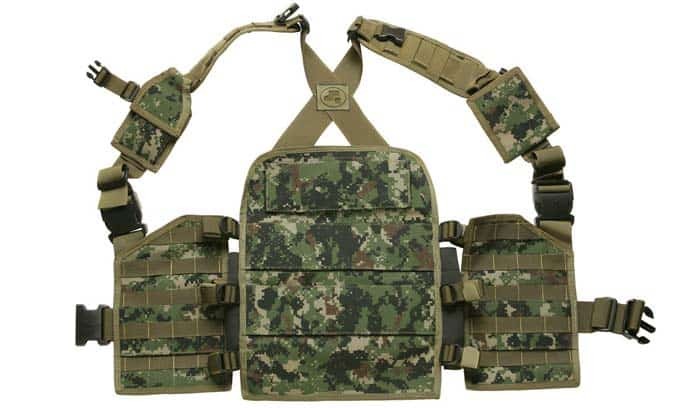 These items refer to harnesses carrying pods that are designed to hold your extra paintballs. These packs are either vertical or horizontal. As the name suggests, the vertical pod packs are those that you can wear vertically around your waist. You need to hold them close to your body. The problem with these packs is that they pose more challenges and difficulty when it comes to putting back the pods in their place. You can also choose the horizontal pod packs that you can wear by strapping them around your waist horizontally. What’s good about the horizontal packs is that they are accessible since they are designed to be easy to reach. The problem with the horizontal pod packs is that they have the tendency of sticking out from the side, which might increase your visibility while on the field. You might also have a difficult time rolling quickly or laying down when wearing it. You also have the option of wearing ghillie suits if you are interested in playing football. One advantage of these suits that are now adopted by many paintball players is that these are very comfortable to wear. You can also expect these suits to offer camouflage to players. You can also easily purchase them online or any sporting goods store. Aside from the clothing items and safety gears that you have to wear when playing paintball, you also have to prepare other things. These include rags or towels for cleaning your old hits as well as your paintball equipment, drinking water, a garbage bag where you can put your dirty clothes after the game, and a rain-resistant jacket. You may also need to bring an extra outfit that you can wear on your way home. Also, do not forget to bring some cash with you because a few parks do not actually have credit card machines. 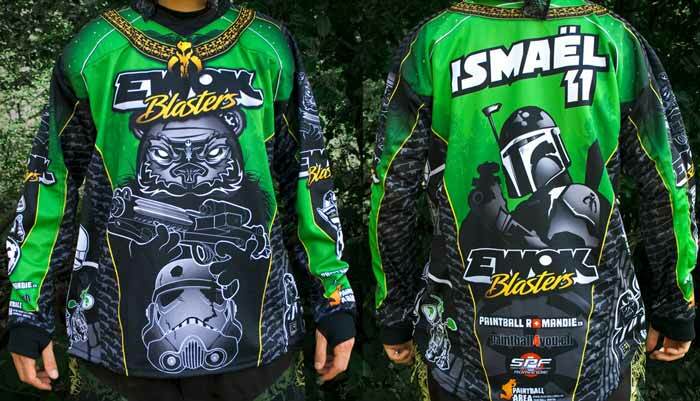 You are already aware of the basic clothes to wear when you are playing paintball. The next thing that you have to gather are some valuable tips that can help ensure that you dress correctly prior to your paintball game. Wear the right clothes for the weather – Before you ever set foot in the field, you have to make sure that you take into consideration the actual weather of the place. It is because the weather will also have a say in what particular clothing you should wear. Several beginners may choose thick clothes, like a sweatshirt to lessen the pain that they might feel in case they get hit or shot. However, these thick clothes may not be ideal if you are planning to play the game during the summer season and you feel like the environment is really hot. In that case, you can actually wear one or two layers of loose-fitted and light clothes, instead of the thick ones. Ensure that the clothes are also easy to strip away just in case you feel overheated. If, however, you are playing the game on an extremely cold weather then you also need to wear warm clothes. Such a weather may require you to wear a sweatshirt, beanie, thick pair of socks, and gloves. Choose to wear old clothes – As much as possible, do not buy new clothes when paintballing. Note that the game requires you to kneel, crawl, or dive around so it would be best to wear old clothes that are appropriate for the game. Ensure that the clothes are those that you do not mind getting dirty nor torn. 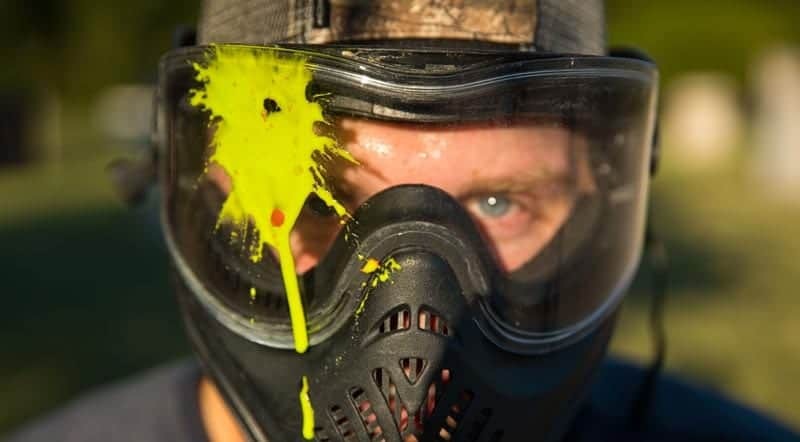 Also, take note that while some paintballs now use water-soluble dye, which you can easily clean or wash off, there are also inexpensive brands that might cause your clothing to get stained. With that in mind, it would be ideal to wear your old clothes so you won’t end up getting frustrated in case they got stained or torn. 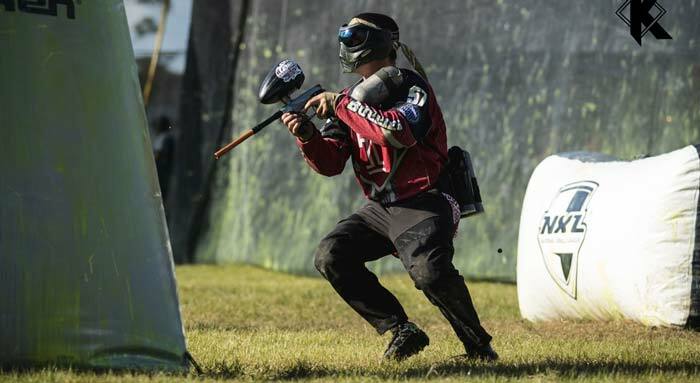 Choose to wear clothes with dark colors – Avoid light-colored clothing as much as possible as aside from being easier to acquire stains, it might also cause you to expose yourself most of the time to your opponents, especially if you are in a woodsball field. 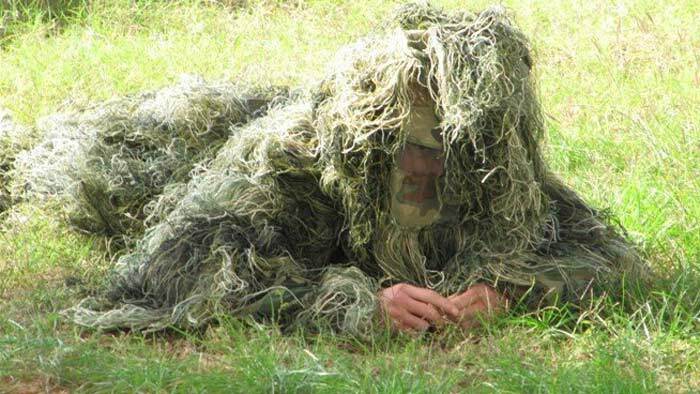 It would be best to wear a camouflage or a dark-colored clothing so you can lessen your risk of getting seen by your opponents. 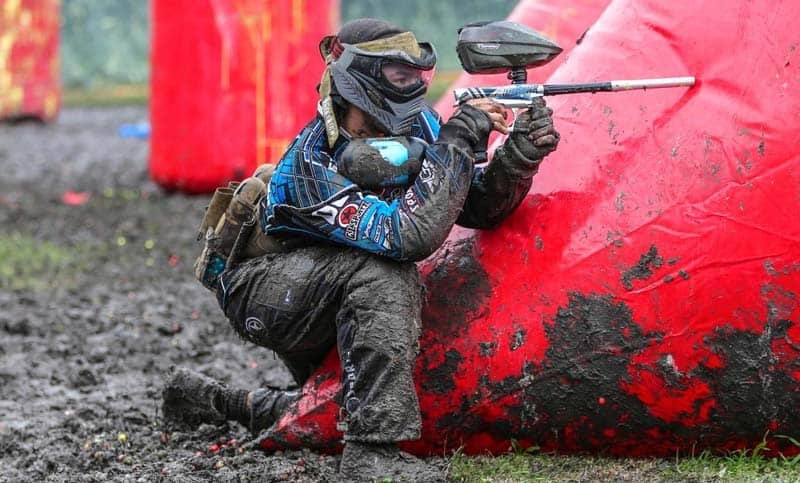 Add several layers – Layering is one of the most commonly recommended tips for paintball players, especially those who are asking what to wear. Instead of just throwing away a single layer of old clothes for each paintball session, consider putting on several layers of these old clothes. What’s good about having a few layers of these clothing items is that they can lessen the impact caused by the paintball in case it hits your body. Having additional layers can provide a space in between your outer clothing layer and your skin. The specific material in between will actually be the one that gets the brunt of the impact. With that, you have a lower chance of feeling anything each time another player hits you. However, you should also consider the weather before wearing several layers of clothes. It is because it is not a good idea if you decide to play during an extremely hot weather. If you are planning to enjoy a paintball match during a hot season, then avoid going overboard on the layers to avoid overheating. 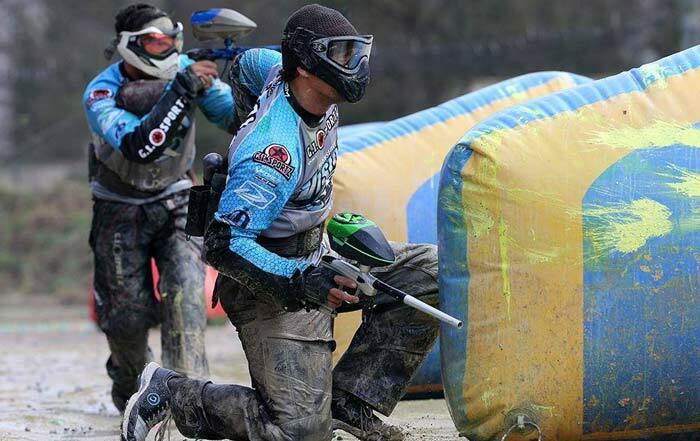 Ensure that no body parts are exposed – When choosing the right clothes for paintball, make sure that you go for those that will never expose any of your body parts. Your skin should never be exposed, too. It is because paintballs often sting in case they penetrate an unprotected skin. Getting hit in an area without protection or that which is totally bare might only cause the paintball to leave a welt in the area. 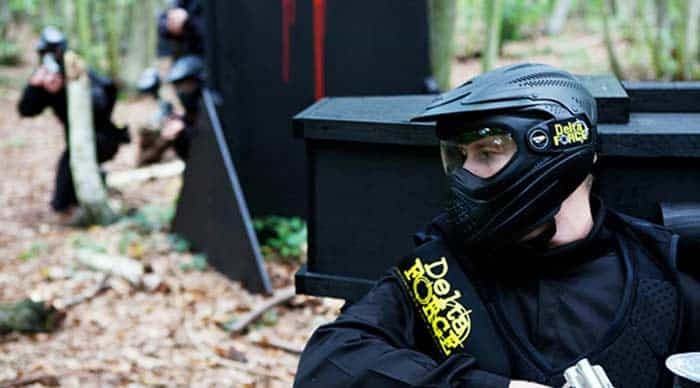 Focus on having a pain-free paintball experience by ensuring that you wear the appropriate clothes – those that do not cause your skin or some parts of your body to get too exposed to the paintball material. Choose to have some additional padding – If you are still unsatisfied with the limited protection offered by the pants and the long-sleeved shirts you are wearing then you can choose to wear additional padding. In this case, you can invest in an arm pad, which is mainly designed to offer protection to the forearm – starting from your elbow to your wrist. This extra padding is extremely useful especially if you are the kind of paintball player who tends to dive and slide all throughout the field. The extra padding is a major help in softening the blow each time your arms get exposed to the ground. Wearing shin pads is also a great idea. Another tip is to wear slider shorts specifically designed for the game. What’s good about these slider shorts is that they have perfect padding designed to offer adequate protection to your lower body. 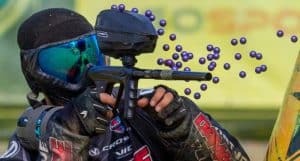 Have some protection for your groin and neck, too – Another thing that you should never forget when preparing for the proper clothing that you can wear in paintball is a durable protector for your neck. Go for a neck protector designed to really guard the sensitive areas and skin of your neck. Another way to protect your neck aside from the protector is a bandanna. Many consider this as a more comfortable alternative to a neck protector. All that you have to do is to tie it around your neck. Another choice is just wearing a simple turtleneck sweater, which already covers your neck area. Your groin area should also have some sort of protection. You can put a cup in there to serve as protection. Although it is a bit uncomfortable, the discomfort is actually manageable. It can also give you some peace of mind knowing that you receive extra protection in sensitive areas. 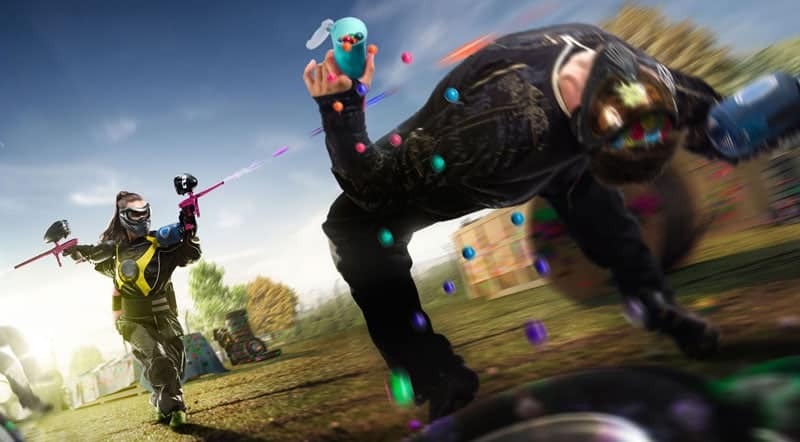 Avoid wearing any valuable or jewelry – Keep in mind that paintball is a game filled with a lot of action, adventure, and adrenaline. Because of that, you should never make the mistake of wearing anything fancy, like a jewelry or any other accessory while you are already on the combat field. Not wearing these items in the first place will prevent you from losing them. You can also minimize the risk of your jewelry injuring you while playing the game. Also, opting not to wear these expensive items will help you focus more on the battle at hand since you are no longer hindered by worries and concerns for them. Knowing what to wear when paintballing is the key towards ensuring that you will fully enjoy the game. You need to dress appropriately to ensure that your movements will not be limited just because you are wearing the wrong outfit. Also, the right clothes will let you conceal yourself from your opponents and prevent yourself from getting injured or hit. 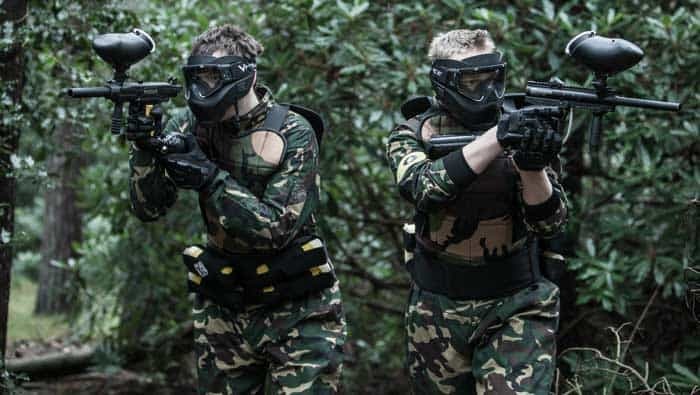 While it is a bit tedious to choose the right clothes to wear when paintballing, it is all worth it because it will give you a long period of untainted fun within ideal conditions. 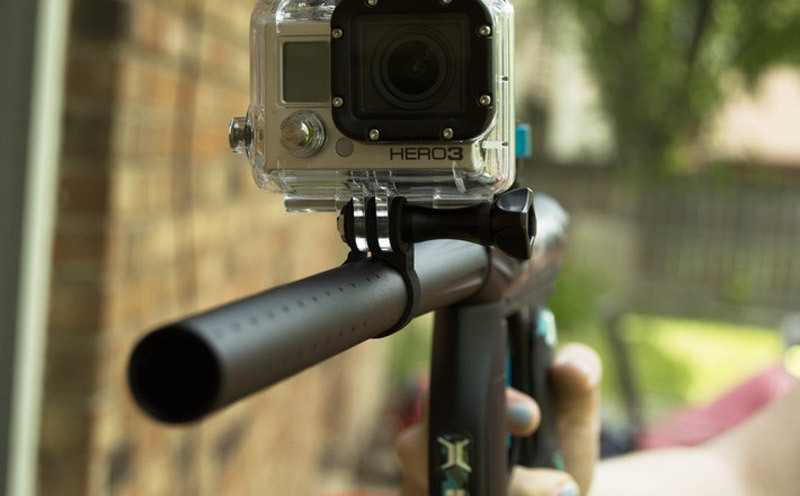 Learn more about how to choose the best paintball gun under 300 with buyer’s guide and in-depth reviews.